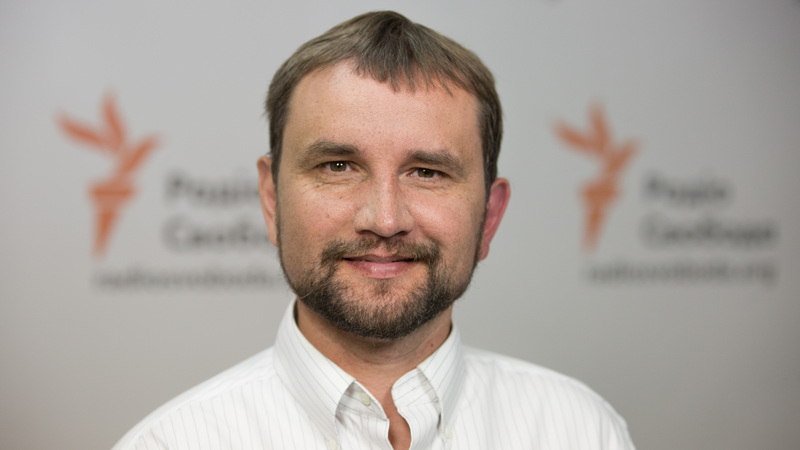 Volodymyr Viatrovych, born in 1977 in Lviv, began his academic career in 1994 at the history faculty of the Ivan Franko National University of Lviv, where he specialized in Ukrainian history. In 2002, he founded the Center for the Study of the Liberation Movement (ZIOD), which focuses on, inter alia, the analysis of repressive politics utilized by occupying powers on Ukrainian territory in the 20th century. Today, he is the director of the Ukrainian Institute of National Remembrance and lives in Kiev.